Online polygraph; magnetic fields; beta-gallium oxide. Lots of lies are told on the Internet. Shuyuan Ho of Florida State University wants to unveil those falsehoods with an online polygraph. Her study was published in the Computers in Human Behavior journal. The experiments revealed a person could spot lies in messages about 50% of the time, while a machine-learning approach could identify deception with an accuracy rate ranging from 85% to 100%. Ho supervises the iSensor Lab on FSU’s campus where researchers conduct experiments to better understand deception in online communications. 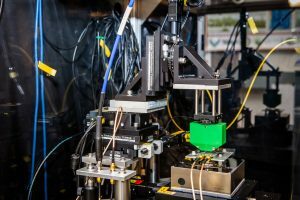 Researchers at the Massachusetts Institute of Technology came up with a quantum sensing method for nanoscale measurements of tiny magnetic fields. 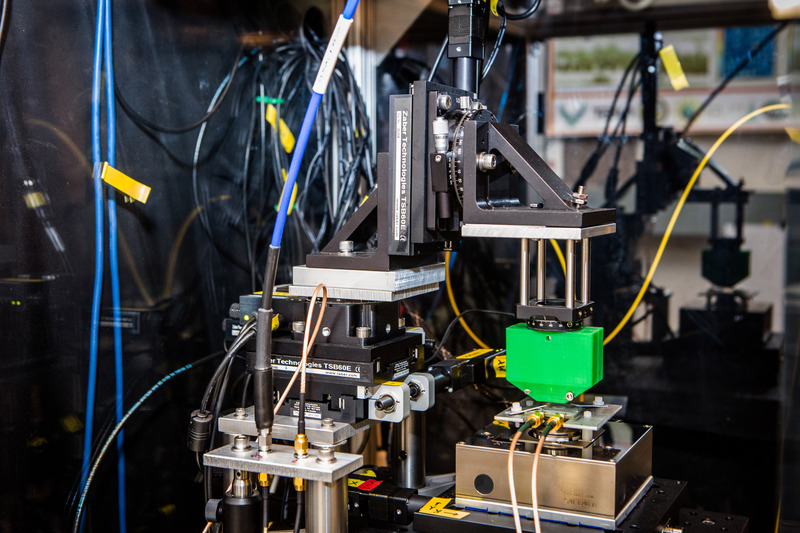 Their experimental tool could be useful in characterizing new magnetic materials, mapping the electrical impulses inside a firing neuron, and probing exotic quantum physical phenomena. The new approach is described in the Physical Review Letters journal in a paper by graduate student Yi-Xiang Liu, former graduate student Ashok Ajoy, and professor of nuclear science and engineering Paola Cappellaro. The technique builds on a platform already developed to probe magnetic fields with high precision, using tiny defects in diamond materials called nitrogen-vacancy (NV) centers. These defects consist of two adjacent places in the diamond’s orderly lattice of carbon atoms where carbon atoms are missing; one of them is replaced by a nitrogen atom, and the other is left empty. This leaves missing bonds in the structure, with electrons that are extremely sensitive to tiny variations in their environment, be they electrical, magnetic, or light-based. In this new kind of “compass,” Liu says, “we can tell where it’s pointing from the brightness of the fluorescence,” and the variations in that brightness. The primary field is indicated by the overall, steady brightness level, whereas the wobble introduced by knocking the magnetic field off-axis shows up as a regular, wave-like variation of that brightness, which can then be measured precisely. Cornell University and the Air Force Research Laboratory are collaborating on examining the properties of beta-gallium oxide, a new material. The research will be carried out at the new AFRL-Cornell Center for Epitaxial Solutions on the Cornell campus in Ithaca, N.Y. The AFRL provided a three-year, $3 million grant for the work, along with Cornell funds. There is an option for a two-year extension. Beta-gallium oxide could replace silicon-based devices used in electric vehicles, renewable energy sources, and 5G cellular communications networks. “It’s a new frontier in terms of just how hard you can drive a device and understanding where our current models break down for devices we use today,” says Gregg Jessen, AFRL fellow and principal electronics engineer, adding that applications could include compact power supplies for new types of radar systems, communications technologies, and sensors. “Cornell has a long history of being experts in compound semiconductors and has expertise where we don’t, so our skill sets complement each other,” adds Jessen. Some of the earliest research on beta-gallium oxide’s value as a semiconductor has been conducted by Huili Grace Xing and Debdeep (DJ) Jena, both professors of materials science and engineering and of electrical and computer engineering. Recent samples of the material synthesized by their research group produced some unanticipated results, according to David Muller, professor of applied and engineering physics, who analyzed the samples’ atomic structures with his state-of-the-art microscope. “Like people, what makes a material interesting is its defects, and we’ve already seen some exciting defect structures in the materials Grace and DJ have grown,” said Muller, who is also a member of the center’s technical team. Discoveries have included new materials and atomic structures when the beta-gallium oxide is mixed with other elements such as tin or aluminum.